Vacations are a wonderful luxury every American loves. 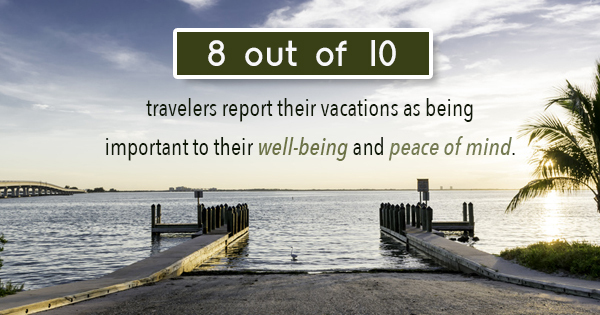 Eight out of 10 travelers report their vacations as being important to their well-being and peace of mind. However, because there are many vacation condominiums and options available to you as a vacationer and traveler, it's important to know what to look for in order to ensure that you receive the best experience. The following is a list of what to look for the next time you search for vacation condominiums for your next big island vacation so you can be sure that your relaxation and rejuvenation are guaranteed. Just as you would with any rental or hotel, read the reviews of any potential beachfront condo before you make your decision. Previous clients and renters will be able to give you an honest opinion of the property and business. They can also give you a realistic look at how long it would take for your luggage to arrive, what the experience is like to live there, and what to expect. Relying only on the photography on condo rentals' websites can give you an unrealistic opinion on the business, which can cause disappointment once you arrive if you weren't aware of any other additional characteristics of the property. It's good to check the surrounding area of the vacation condominiums or beachfront condo before you invest in it. If a bar is next door or downstairs, that can mean extra noise for you. Additionally, by checking the surrounding area you can determine ahead of time what the attractions are to the vacation spot. While you're on vacation, the amenities in your condo rental are important. You want to be sure that you're going to be relaxed during the time that you're vacationing, not making sacrifices. Look through the photos on the vacation spot's website, read the reviews, and ask the staff themselves what amenities are available to you in the rental. If you're not renting a vehicle while you're on vacation, it's important to determine whether or not your vacation rental will be near public transportation. This may not be a big deal for some vacationers who may take their time to go island fishing and rent a boat to travel around. But if you're on a budget, the ease of public transportation may be something you'd want to look into on your tip. Unplugging from the online world is relaxing, but sometimes it's necessary to be plugged in. If it's important to you, be sure that the Internet works at your vacation rental before you make the commitment to live there for a period of time during your trip. By following these tips you can be sure that your vacationing experience is one to remember. For a truly wonderful and relaxing vacation, contact Sanibel Arms to reserve a Sanibel Island condo today!